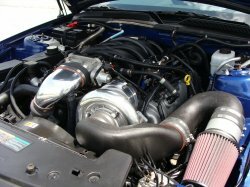 Paxton 2005-2006 4.6 Mustang GT N2200 Polished Finish [1001850-P] : Supercharger Superstore, Your Online Source for Vortech Superchargers, Paxton Superchargers, Procharger Superchargers, Magnacharger Superchargers and Techco Superchargers! 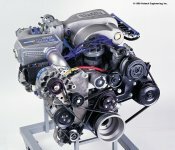 With an increase of up to 170 horsepower, Paxton's 2005-2010 Ford Mustang supercharging systems are the ultimate for the street in a bolt-on package. From the new powerful NOVI 2200 gear-driven centrifugal supercharger to the integrated air/air charge cooler you'll have power on demand at any time. It's easy to see why Paxton has been a supercharging tradition spanning more than four decades. Price Too Low To Advertise! Your email address will not be stored. Images shown may not depict actual product.